In South Carolina, when you receive a ticket for a traffic violation, you will incur points against your driver’s license. If you incur more than 12 points in 12-month period, you will lose your driving privileges. Established by Chuck Allen in 1988, our firm is committed to helping you protect your driving privileges. Josh Allen joined the firm bringing valuable experience gained during his time as assistant solicitor in the 10th Judicial Circuit. Receiving a traffic ticket may seem like a minor annoyance. However, when you pay the ticket, you are pleading guilty and you will incur points against your driver’s license. If you receive multiple tickets, you could lose your driver’s license for up to five years and face increased insurance premiums. Whether this is your first or third violation, it is important to speak with a skilled Anderson traffic violations attorney about your rights and options. For more than 30 years combined experience, from our office in Anderson, our firm has helped South Carolina residents, people traveling through the state and commercial drivers minimize the penalties associated with traffic violations. We will take the necessary steps to help you fight your ticket or get it reduced to a penalty with lower fines and points. 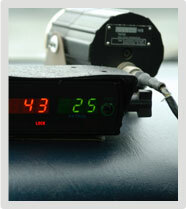 Don’t fight your traffic tickets without a skilled lawyer by your side. To discuss your case with Chuck Allen or Josh Allen, contact our firm online or call us at 864-226-6184.